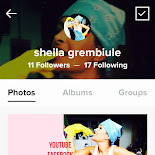 sheilaingrembiule: 76 / VEGGENTE IS BACK!!! 76 / VEGGENTE IS BACK!! !